Dot & Russ Seybold have announced the sale of the Conway Scenic Railroad to Profile Mountain Holdings Corp, led by President David Swirk. The sale was completed on January 30, 2018 and PMHC will commence operations immediately in anticipation of the seasonal opening in April. The iconic railroad and tourist attraction with the historic 1874 train station has enjoyed 44 continuous years of operation. 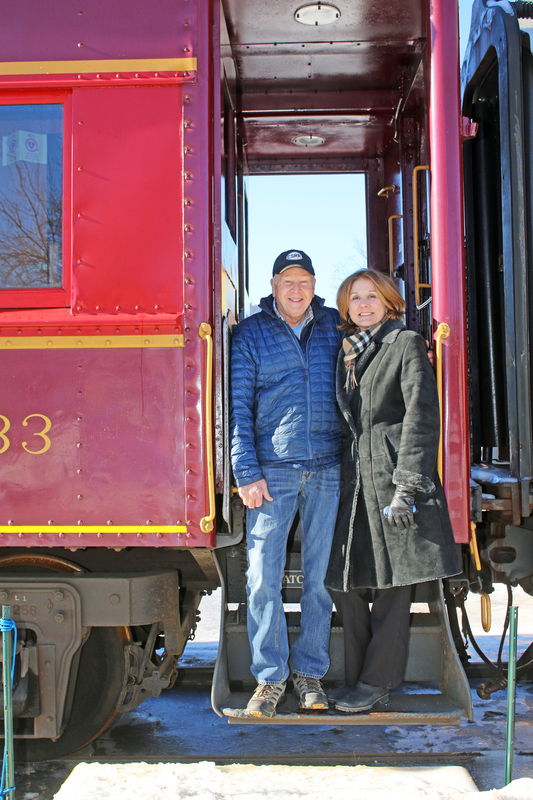 Originally hired as President and General Manager of the railroad in 1990, Seybold was instrumental in the expansion to Crawford Notch and the commencement of a truly world-class railroad experience. Russ and Dot purchased the railroad in 1999 and continued to expand operations with the addition of two full-service dining cars including the “Chocorua” and the “Hattie Evans,” and the dome observation car “Dorthea Mae.” They were key founders of the highly successful Polar Express holiday excursion. Other signature annual events including Day Out With Thomas ™, Pumpkin Patch Express, Santa’s Holiday Express and Railfans Weekend which generate tens of thousands of guests each year. Profile Mountain Holdings Corp, DBA Conway Scenic Railroad, is jointly owned by David Swirk and his business partner William Sullivan, Jr. This is their second and by far most exciting venture together. David, PMHC President, has nearly 30 years of short line rail management experience focused on business development and operations including mechanical and engineering. These skills will be utilized to improve upon the great foundation that the CSRR has in the Granite State. David and his wife Rhonda, having purchased a house in Conway last year, are looking forward to working together at the CSRR for many years to come. Rhonda comes from a 23-year career in banking, finance and office management. Russ and Dot are residents of Jackson, New Hampshire and will continue to make the Valley their home. Dot Seybold is the long-time General Manager of OVP Management, Inc. the development company for Settlers properties in North Conway. Russ Seybold is former President of White Mountain Attractions and is currently treasurer of the Mt. Washington Valley Habitat for Humanity, and active in the local Kiwanis organization.